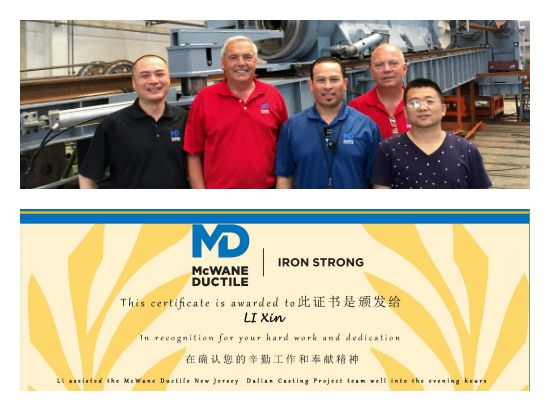 Meet McWane: Li Xin, McWane Gulf | McWane, Inc.
Posted on July 20, 2015, in Meet McWane and tagged award, commitment, excellence, McWane, McWane Ductile, McWane Ductile New Jersey, McWane Gulf, McWane Services Private Ltd., MSPL, Passion for Excellence Award. Bookmark the permalink. Comments Off on Meet McWane: Li Xin, McWane Gulf.